Accra is a thriving, bustling metropolis with over 2 million people. Similar to other vibrant cities in the world like Johannesburg, South Africa, or Cairo, Egypt, there’s a pulsating energy about the city that is hard to miss. “Accra is great, and I love the vibe it gives” says Celestina Donkor, who works as an IT officer during the day and moonlights as a musician at night. Celestina is not alone in desiring reliability, affordability and safety. In recent times, safety has increasingly become a topical issue in both offline and online discussions. Technology has opened up new means of economic and business opportunities for many millennials like Celestina; but it has also brought with it some concerns about how safe and secure users are. Know your ride: Riders should always take the time to review the safety features available to them in the app. It’s important for them to remember that Uber rides can only be requested through the Uber app, so users should never accept street hail solicitations from those claiming to be with Uber. When riders are ready to request a ride, it is important for them to avoid spending unnecessary time outside alone with their phone in their hand. Instead, it best for them to wait indoors until the app shows that their driver has arrived. Know your driver: When a driver accepts a rider's request, the rider is able to see the drivers first name, photo, license plate number, type of vehicle as well as the vehicle colour. Riders are able to see this from within the app itself – on the map. The rider should always make sure that those match before they enter the vehicle and ensure they ask for the drivers name when they open the door. In a case where the inside of the car is dark, riders are encouraged to politely ask the driver to switch on the inner light to help confirm identity. 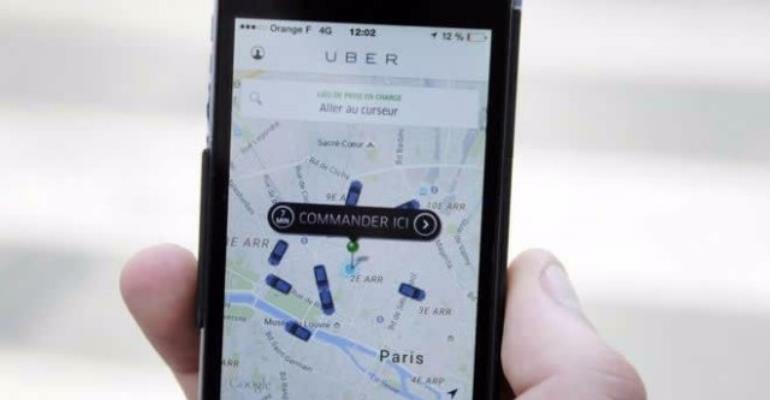 Sharing Trip Details: Uber’s technology has made it possible for all trips to be tracked using GPS. While en route the rider is able to monitor their own trip in the app as well as share their Estimated Time of Arrival (ETA) with their loved ones. This will help friends and family keep track of where they are on the trip and they can do this without even downloading the Uber app! In-app Help: The tool is designed to help riders get a prompt response to their queries in the shortest time possible. The support system can be accessed by navigating to the “Help’’ section on the menu, which helps riders and driver-partners alike to communicate their concerns they might have during a trip and get an instant response. Follow Intuition: When using Uber the rider should be aware of their surroundings, if they feel like something's not right they should trust their instincts and use their best judgement. Riders should be cautious when sharing any personal information and should always confirm that the driver-partner is, in fact, the one they saw on the app, and if they ever feel they're in an emergency situation, they are advised to alert the local emergency services immediately. Give Feedback: Riders should always give feedback on how their trip went. This helps improve the Uber experience for everyone, maintain a high-quality service and provide accountability. Uber has a 24/7 global support team which reviews the feedback and follows up with appropriate action regarding reports of conduct that violates the Community Guidelines. Uber constantly develops new technologies to ensure safety before, during, and after every ride which was not possible before. Uber is committed to continuously help in educating riders and driver-partners on how to use the technology by providing the tips to improve their safety on every ride.